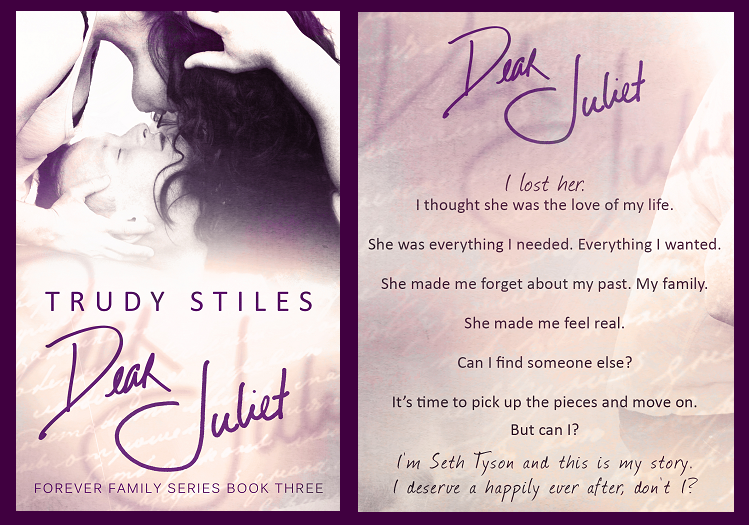 Along with Trudy Stiles, we are very excited to share with you the Release of "Dear Juliet", the 3rd book in The Forever Family Series! This should not be read as a standalone. 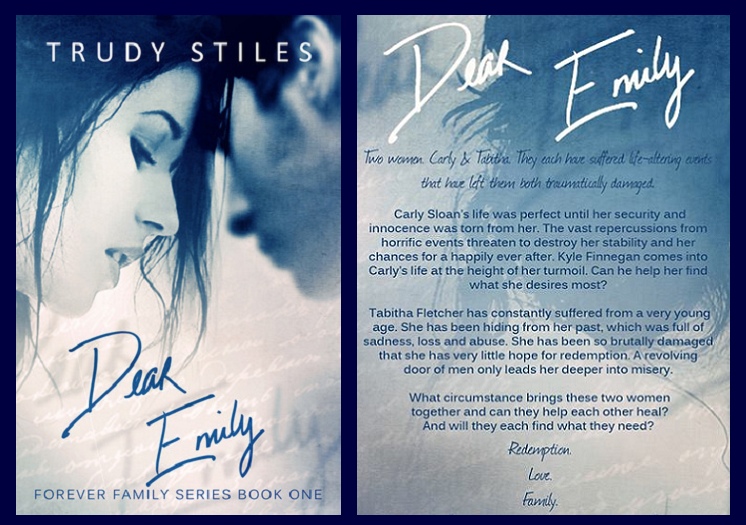 Dear Emily and Dear Tabitha should be read first. The bestselling Forever Family Series concludes with this emotionally gripping story. Follow the lives of two incredible people as they battle their way through many years of heartache, loss and love. This story will take you on an epic journey that spans almost 20 years. I've known her since the third grade. I've loved her since our teen years. But her heart belonged to my best friend. Juliet Oliver was adopted at birth and has always struggled with this fact. She's been emotionally detached from everyone in her life, except for one person. He's been the one source of support, love and encouragement. Seth Tyson has had his share of painful relationships. He's constantly battling with his own demons, led by issues at home. How do I move on from her? Will I find someone like her? It’s time to pick up the pieces. From the very first book, Dear Emily, I fell completely in love with these characters and their stories. Each story is an absolutely beautiful, heartfelt emotionally packed journey. While we know who Seth is from the first two series installments I can honestly say now having read Dear Juliet, that as readers we in fact don't really know Seth at all. I'll be the first to admit I probably wasn't his biggest fan and I was on the fence about whether or not I would want to hear a book devoted completely to him. Now, I can see how completely wrong I was because Dear Juliet gives an entirely new dimension to the previous two stories. Seth's story further enhances the series and truly brings all things full circle. Dear Juliet is the missing piece we never even realized was missing. Trudy Stiles brilliantly starts this story in the past when Seth was just a small boy. It's so well written you completely forget about knowing him as an adult. You fall in love with this little boy, your heart breaks as you watch him struggle through some pretty big life changes and you bask in the happiness he finds through his assigned pen pal and eventual best friend, school mate Juliet. Juliet, adopted as a baby, by two of the most loving, grateful parents any mom who gives their child up hopes to find. This little girl is showered with love, support and encouragement every day of her life. Yet, when she accidentally overhears conversations not meant for little ears, insecurities start gnawing away at her conscience and she is left lost in a world of doubt and eventual depression. Fortunately she has one person she is able to share the secrets of her mind, Seth, a pen pal turned best friend. He's the only one who honestly knows her to the core. Dear Juliet follows both Seth and Juliet from the age of 10 through the time frames of Dear Emily, Dear Tabitha and beyond. Through the first half of the book you forget about Tabitha all together. You see Seth and Juliet grow up. Seth is this really great guy, who would do absolutely anything for the people he loves. He may have come from money, but money doesn't necessarily mean a happy life with loving supportive parents. Juliet, a stranger turned pen pal, grows into not only his best friend but the eventual love of his life. 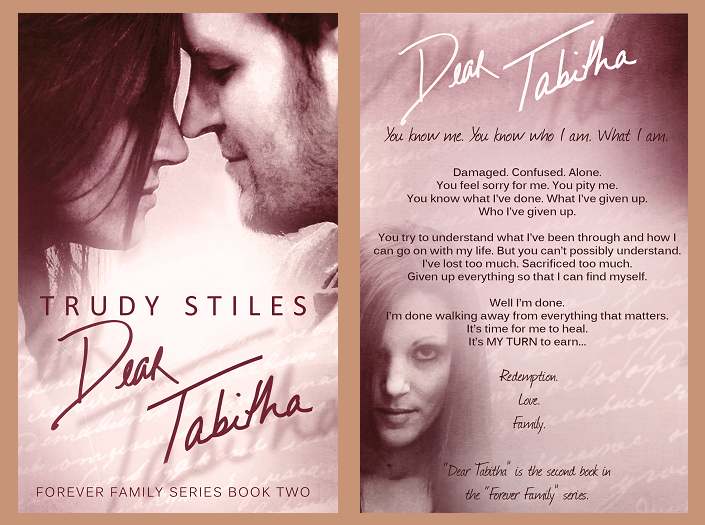 Their story isn't an easy one, they both have a lot to work through before they find their HEA and while I thought I had the story figured out Trudy Stiles managed to completely rock my world with an ending I never saw coming! Dear Juliet is a perfect conclusion to a great series. If you haven't ever given the Forever Family Series of books a chance you really need to because you are missing out. Trudy Stiles is a master in writing about real life, both the ugliness and beauty of the every day. 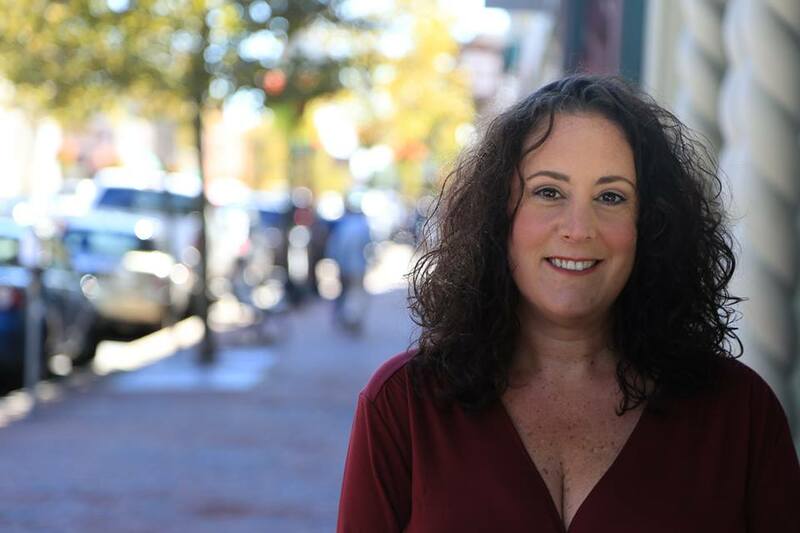 She takes sensitive subjects and forces you to see them in a new, refreshing perspective.